Trying to get the menu to start collapsed rather than fully expanded. Thought it was the var texpanded=0 setting but doesn't seem to have any effect. A: See, when you set + sign before item's text that is mean that thisitem will be expanded. Q: Can I use an Item in the html menu for text and get the text to wrap within a predefined menuWidth ? 2.4 Matching a Net from RTL to Synthesis 2.4 Matching a Net from RTL to Synthesis then right click on it and choose the Matching net_name to Netlist from the context menu to open a window with the results. Microsoft Middleeast - MSDN The Tree view control displays the items correctly, they are right the line images to show your rtl lines, by following these simple steps. 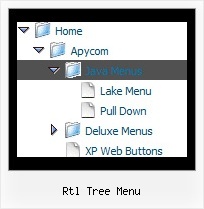 change tree menu direction - Skins, Themes, and Templates Could you clarify if you need a tree control or a menu control to do this. If so then the solpart menu will render in this manner if it detects a dir="rtl" in the body.